What Happens to Ants in Winter in New Jersey? What Exactly Happens to Ants When the Weather Gets Cold? Ants are typically a big problem when it’s warm out, but where do they go when it gets cold? While it’s unlikely that you’ll see ants in your home during winter, it’s still a good idea to know what they’re up to when they get cold. Our Monmouth County pest control experts offer the following information about ants in winter. Ants that build colonies in the ground have a considerable amount of protection when freezing temperatures hit NJ. These ants usually have tunnels that reach deep into the ground where no freezing occurs. When the temperatures drop, these ants can head to these deeper areas and stay warm enough to survive. Ants that live inside trees and other wood sources have a harder time avoiding freezing temperatures. However, they’re able to enter a state called diapause. During this state, ants go into a sleep or hibernation-like state where they don’t grow or move around. They’re able to go into this state when it gets too cold and stay dormant until the temperatures start to heat up again. Keep in mind that ants that are nesting inside your home have no problem surviving the winter months. 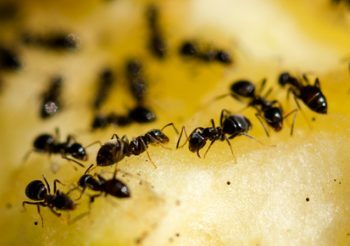 If you have ants in your home this fall or winter, Allison Pest Control can help. Our Monmouth County pest control technicians can safely get rid of ant infestations in your home. Some ants can be beneficial as long as they’re outside, but others can cause big problems. Fire ants, for example, have a painful bite and tend to go after people in large numbers. Baits for these ants haven’t changed much since they were first around in the 1960s, but scientists are working on improving them. Researchers are developing water-resistant ant bait that could prove to be more effective at eliminating ants than traditional bait. This water-resistant bait prevents the queen from being able to produce eggs, which helps destroy the colony. Traditional baits aren’t always as effective as they could be due to wet conditions that cause their ingredients to break down. Water-resistant baits aren’t susceptible to the same breakdown, which helps ensure that they do their job. In fact, scientists found that colonies exposed to this type of bait stopped producing worker ants. NJ homeowners should note that this water-resistant bait isn’t available yet in the U.S., although there’s a patent for it. 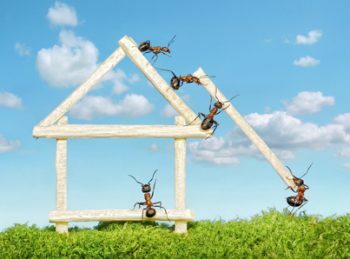 Until it becomes available, homeowners should depend on Ocean County NJ pest control companies to handle any ant infestations they have in their home or yard. If you have an ant problem on your property, contact Allison Pest Control to learn more about our services. We’re one of the leading Ocean County NJ pest control companies thanks to our reliable service. Are your Ocean County pest control services coming prepared to battle the right bug? Those red ants lighting up your pavement like a scene from a horror movie may not be the fire ants you feared – but red pavement ants. Food fanatics with a penchant for sweets, the red pavement ant sends a few scouts out in search of food – and when it’s discovered – EUREKA! Hundreds upon hundreds will quickly cover the food item with their bodies, creating extremely troublesome infestation scenarios. They’re commonly seen in mass quantities on sidewalks, driveways, and other swaths of pavement, as well as indoors in the presence of food. Red pavement ants might not pack the fiery punch of their greatly feared cousins, but they can bite and sting and still cause quite a pain. Professional extermination is the key to successful eradication. 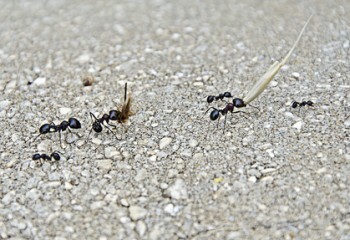 Pavement ants are very small – 1/10 to 1/8 inch, compared to fire ants which can vary in size 1/8-inch to almost 3/8-inch in length, depending on the worker. 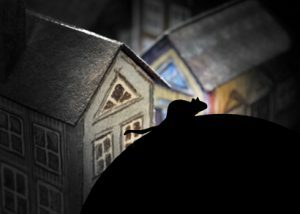 They typically nest under stones, along driveways or within concrete cracks, compared to fire ants’ mountainous, generally lawn-bound dirt mounds. Ants marching one-by-one through your kitchen? The Ocean County pest control services of Allison Pest Control will have you shouting ‘HURRAH!’ in no time! Contact us today. What Are Sugar Ants? Do You Have Them? Do You Have Sugar Ants? Sugar ants are small ants that can cause big problems if they find a way into your home. Sugar ants get their name from their appetite for sweet foods, although they eat just about any other kind of food as well. Sugar ants are small ants that can grow up to 0.6 inch long. Winged males are brown or black, while worker females are a pale yellow or reddish color. If you have sugar ants in your home, you’ll most likely see them in your kitchen. These ants are drawn to crumbs that are lying around, especially sugary ones. You might also find these ants in your bathroom, where they’re attracted to water sources. • Clean your kitchen sink. Make sure the sink is dry, and wash dishes instead of leaving them sitting. • Mop your kitchen floor each night in summer. This helps get rid of crumbs and pheromone trails that sugar ants leave. • Wipe off your counters. Don’t leave any bits of food on your kitchen counters for sugar ants to find. Are you battling sugar ants in your kitchen? Want to win? Contact Allison Pest Control, and our Freehold exterminators will win the battle for you.